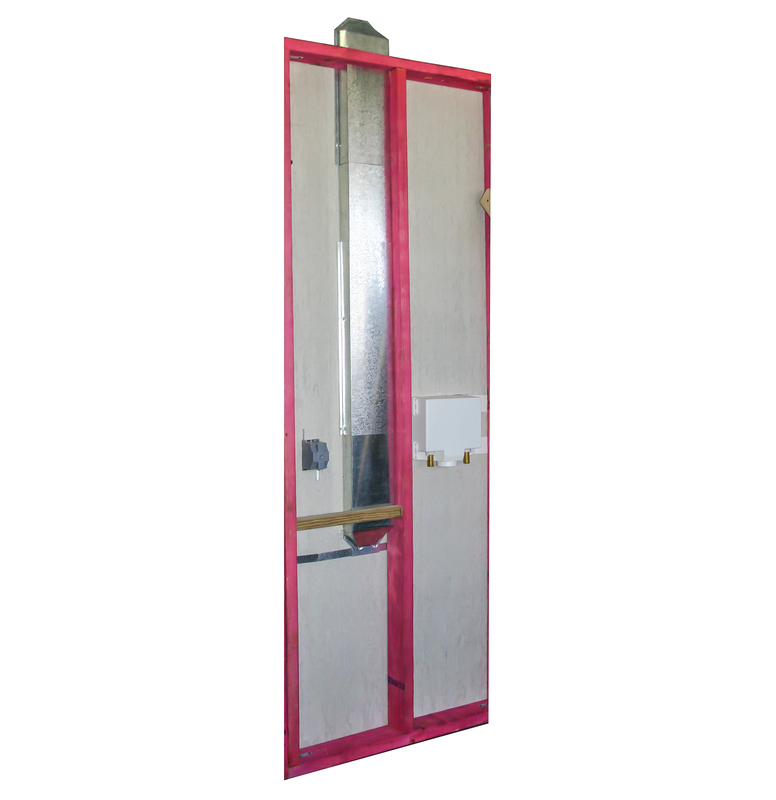 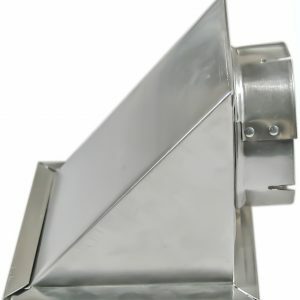 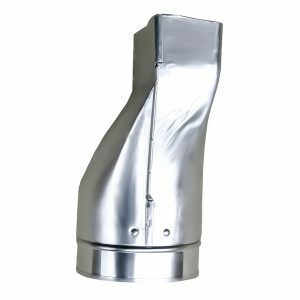 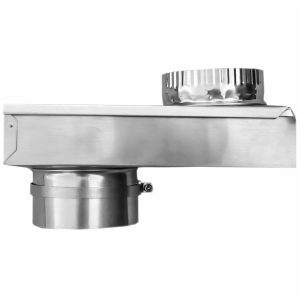 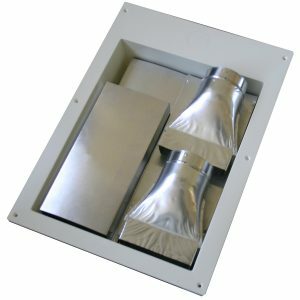 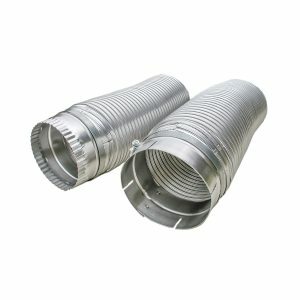 The Aluminum In-Wall Periscope is used to vent dryers in the wall or on the wall using our 2″ x 6″ smooth aluminum duct. 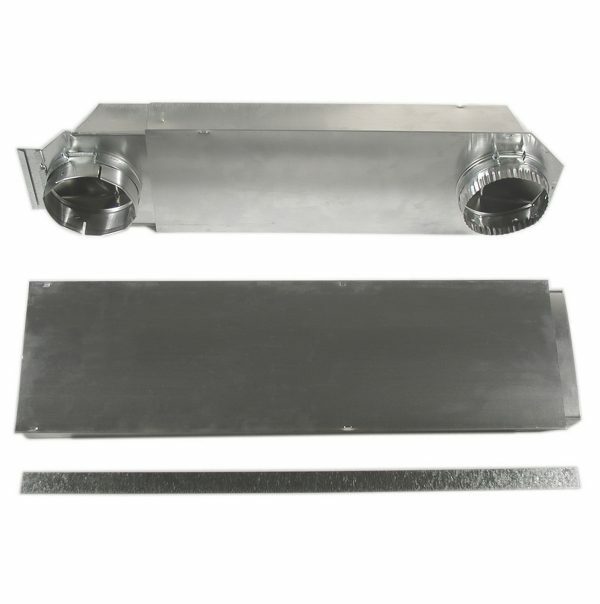 It solves new construction rough-in for dryer venting or provides long length on-wall close clearance venting. 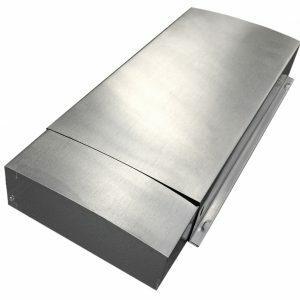 It fits easily between studs and up through the top plate to vent thru an attic to the roof or eave. 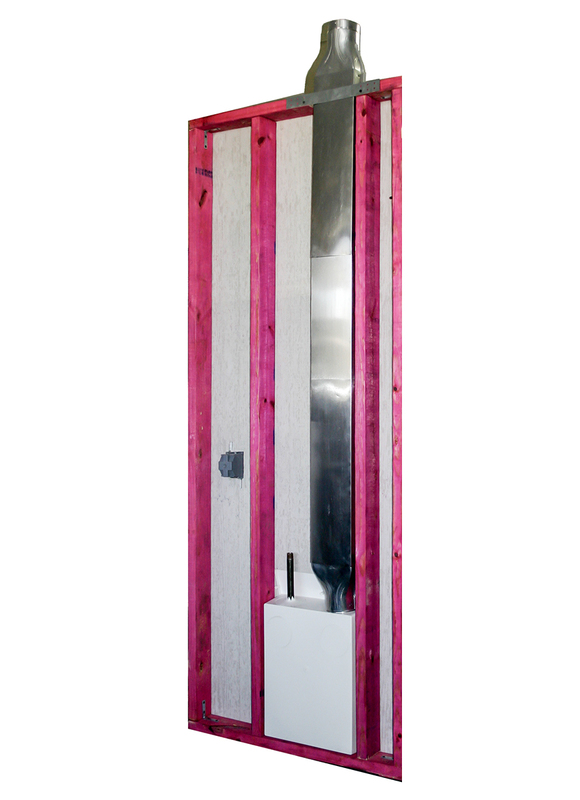 • Solves situations where dryer is on an inside wall and needs to vent up and out of the room.